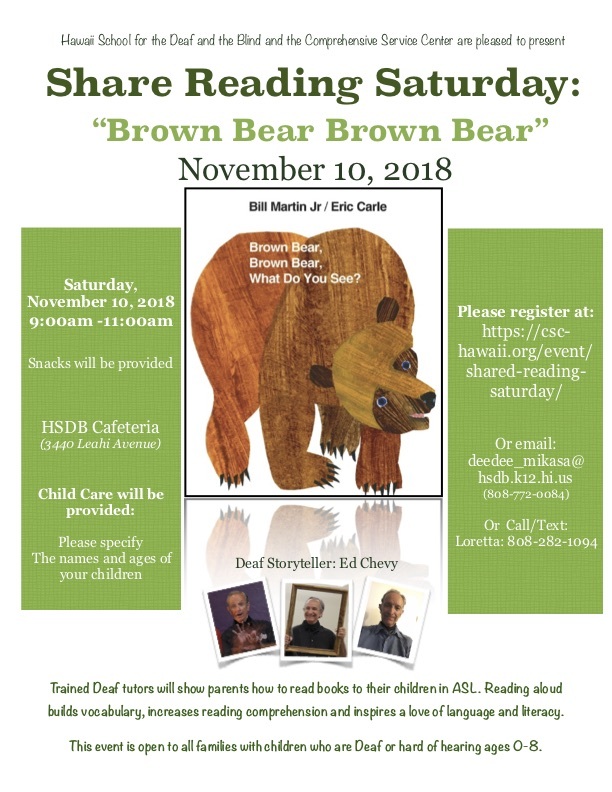 Hawaii School for the Deaf and the Blind and the Comprehensive Service Center are pleased to present Shared Reading Saturday. Trained deaf tutors will show parents how to read books to their children in ASL. Reading aloud builds vocabulary, increases reading comprehension and inspires a love of language and literacy. This event is open to all families with children who are deaf or hard of hearing ages 0-8. Questions or accessibility requests, please contact DeeDee Mikasa. To watch videos from previous reading events, click here.